The crop circles which appear in British fields on short summer nights have quickly become the most famous works of modern art on Earth. Perfectly conceived, priceless and expertly crafted by artists unknown, the formations are an environmental triumph - the highest form of spin in art. 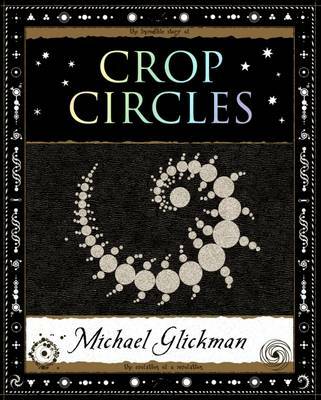 This small volume, by architect, inventor and world-famous crop circle commentator Michael Glickman, tells the central tale of the evolution of design and form within this beautiful and quintessentially British mystery. WOODEN BOOKS are small but packed with information. "Fascinating" FINANCIAL TIMES. "Beautiful" LONDON REVIEW OF BOOKS. "Rich and Artful" THE LANCET. "Genuinely mind-expanding" FORTEAN TIMES. "Excellent" NEW SCIENTIST. "Stunning" NEW YORK TIMES. Small books, big ideas.